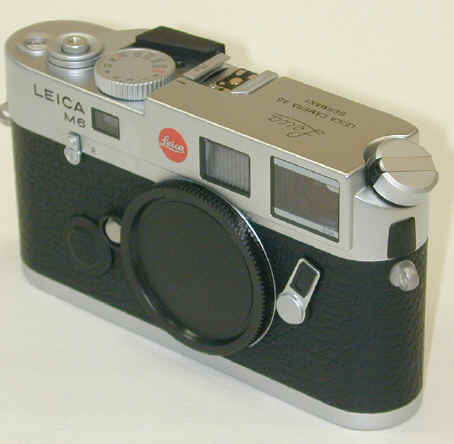 Introduced at the end of 2000, this is a new version of the M6 TTL with the famous Leica script on the top plate. This is a STANDARD model, signifying the return of the Leica script as standard issue, a good day for Leica, at least for the Japanese market. Pictured is the .58 TTL, available in either chrome or black chrome. 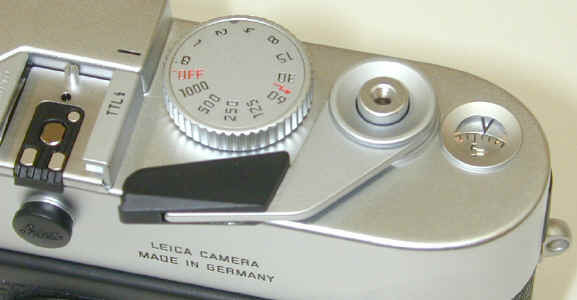 The .72 and .85 versions of this camera, again available in both chrome and black chrome, are expected by the middle of 2001. 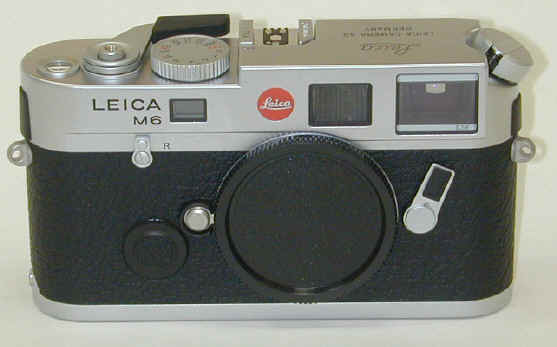 Time will tell if Leica offers this M6 version in other countries. Alas, apparently all the news is not good. 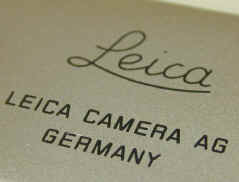 I'm told the "Leica LEICA CAMERA AG GERMANY" lines are NOT engraved, but "printed." -- painted or silkscreened on. That sounds good to me. I have some black paint. 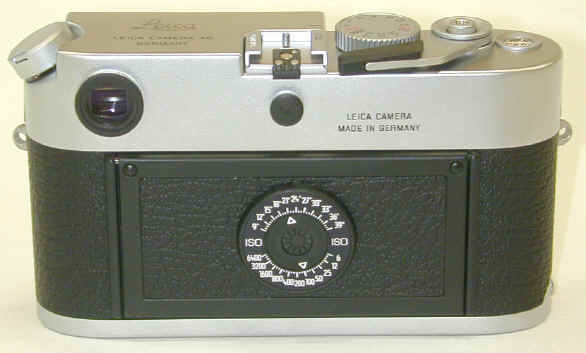 Anyone want to buy a "Leica CAMERAQUEST" M6 ? Revised: November 07, 2004 . Copyright © 1998-2002 Stephen Gandy. All rights reserved. This means you may NOT copy and re-use the text or the pictures in ANY other internet or printed publication of ANY kind. Information in this document is subject to change without notice. Other products and companies referred to herein are trademarks or registered trademarks of their respective companies or mark holders.